I first saw her through the glass minutes after she was born, her thick dark hair curling and still damp from her first bath, and her toe stuck in a tiny hole in the pink baby blanket the hospital wrapped her in. Her big blue eyes were bright and they’ve stayed that way. 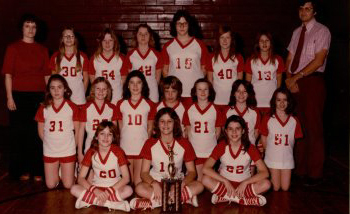 This is Amy’s basketball team when she was in 5th grade. She’s #31 and her forever friend, Jonna, is next to her. This is Amy’s senior picture. Gorgeous, isn’t she? 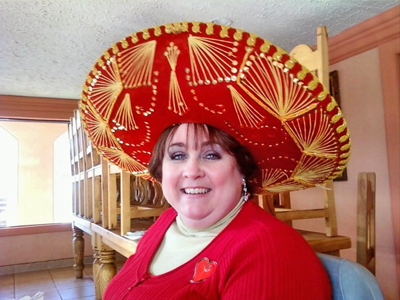 This was her birthday last year, just before she did the Mexican Hat Dance! Of course she played with her again the next day. When she was about five, I gave her a black cat. She named him cotton. Amy is the Omega to my Alpha. She’s the one most likely to get in trouble with me, who has a huge heart, a faith and love of God that’s amazing to behold. Love you, Amy. Happy __ birthday and many, many more! Categories: Small World Family | Tags: Arts, Birthday, celebrations, faith, God, Television, United States | Permalink.